Board of Trustees member Michael P. Johnson made a $250,000 gift to the School of Business that became the catalyst for establishing a new $1 million endowment. Johnson’s original donation was matched by a gift from the University of North Carolina General Administration. An additional match was received by the U.S. Department of Education’s Title III Part B program – creating the $1 million total endowment. “Trustee Johnson’s gift has created energy – and synergy – at NCCU, where we provide our students a high quality education and produce leaders who are equipped to compete in the global marketplace,” said NCCU Interim Chancellor Johnson O. Akinleye. “The positive impact from this gift will be felt by our students in this decade and for many decades to come. Our goal is to continue growing the university endowment and the generosity of Mr. Johnson enables NCCU to do just that,” said NCCU Vice Chancellor for Institutional Advancement Dr. Harriet Frink Davis. The Michael P. Johnson Endowment will boost NCCU’s growing School of Business just as plans are underway to construct a new state-of-the-art facility for the school on campus. Johnson said his determination to assist students attending NCCU stems from personal experience. “NCCU not only provided me with a great education, but with a vision of what I could achieve,” said Johnson, a football recruit from East St. Louis, Ill., who graduated with a degree in business administration in 1969 before launching a successful career in corporate leadership. “I had never seen a black business person in corporate America until I came to N.C. Central,” Johnson says. “While in school, I encountered many role models who helped clear the way for me to follow my vision.” His first job was at RCA Corporation. Johnson, who now lives in Tulsa, Okla., has been a longtime supporter of the university, often assisting with key academic initiatives and student scholarship needs. He rose through the ranks at companies such as Lockheed Martin, Amoco Corp., and The Williams Companies. In 2008, he founded J&A Group LLC, a management and business-consulting firm. 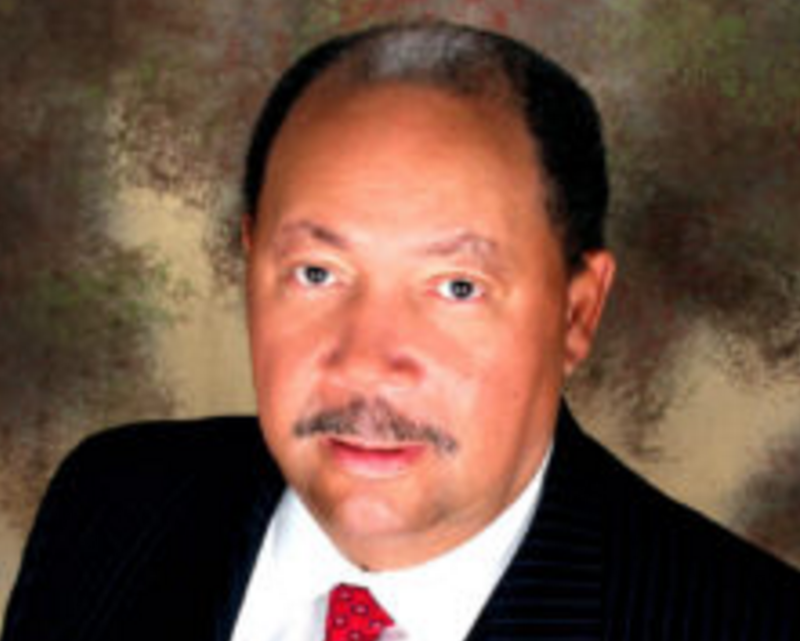 He also has served on several corporate boards, including CenterPoint Energy, Buffalo Wild Wings and Quiktrip Corp. Johnson was awarded NCCU’s Distinguished Alumni honor at the Mid-Eastern Athletic Conference basketball finals in spring 2016.